For other posts in this series, click on a number: 1, 2, 4, 5, 6, 7, 8, 9, 10, 11, 12, 13, 14, 15. 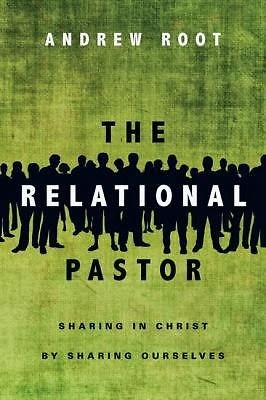 This post continues looking at Andrew Root's book, The Relational Pastor. Last time we ended with his call for redefining Christian ministry. We begin this time with his proposed definition: "Ministry is nothing more and nothing less than joining in God's continued action in a [particular] time and place" (p24). This definition is quite different than many that have arisen in the body of Christ during the modern era. But a new "missional era" of ministry seems to be emerging, in part because modern practices are being found ineffective in our increasingly post-modern, post-Christendom world. Ministry-as-usual simply will not do. What will replace it is unclear. What is clear is that Christians are searching for more faithful and effective ways to define and practice ministry. The Spirit seems to be calling us to prayer, soul-searching and experimentation--helping us shed unhelpful accommodations to modernity's weaknesses and to reconnect with our Christian theological-missiological roots. This mean, above all, a reconnecting with who Jesus actually is, and what he actually is doing in our world. To help us understand how cultural forces shape ministry (for better or for worse), Root examines several of the most significant cultural shifts in the history of the Western world. He shows how these shifts greatly impacted society's perspective on spirituality and religion, including the ministry of priests, pastors and other spiritual leaders. Sadly, through the course of the shifts during the last 2,000 years, Christianity has often been torn from its theological moorings. The result is a ministry quite unlike Root's definition quoted above. In particular, Root explores the first, second and the ongoing third industrial revolutions. The first was a shift from agriculture to steam- and coal-driven industry. The second was a shift from steam/coal- to oil and electricity-driven industry. Each shift ushered in new cultural systems. I recommend that you read Root's book for the details. As a result of these shifts, religion tended to become the servant of new systems of commerce, governance and other culture-creating/preserving structures. An example is the rise of the nation-state, made possible by the new technologies. As this occurred, Christian ministry tended to become about "pushing individual citizens to be moral and upstanding" for the benefit of the nation-state (p34). Within that setting and toward that end, pastors were expected to be "moral exemplars." This arrangement, which included the idea of a "Christian nation," at times lent a helpful stability to the state. But it also led to terrible abuses, such as the Nazis co-opting the German Lutheran church to advance its nation-building purposes prior to and during World War II. It was this corruption that Dietrich Bonhoeffer railed against, leading to his martyrdom at the hand of the Nazis. ...a pseudo-therapeutic (self-help) consciousness. As full-blown individuals we became obsessively concerned with ourselves as independent feeling subjects. Now that technology was meeting so many of our basic needs...we could move our attention from survival to fulfillment.... Ministry in this period turned to programs of intervention... [which] made the church attractive.... "Programming" became the strategy of the church's ministry [with a focus on helping us]... become the self we wanted to be (pp35-37). ...with a strong self-help bent, preaching sermons that would make people drive miles to hear them, preaching sermons with (three) basic pseudo-therapeutic points that were directly applicable to the individual life, helping us become a more successful parent, friend and therefore follower of Jesus (p40). People in churches were encouraged to reach out to neighbors and coworkers, not for the sake of the other person but for the purpose of getting the other person to come to Jesus or come to [their] church (p41). Thankfully, the culture and the church is changing. As Root declares, "we are on the verge of something new" (p41). Root, along with other futurists, sees the emergence of a third industrial revolution--this time shifting out of an oil/electricity-driven consumeristic, individualistic culture into one with a greater sense of relatedness. That's the good news. The less than good news is that it may at the same time become an era with "a more fractured sense of self, and increased narcissism" (p42). Of course, only time will tell. But change clearly is in the wind and, no doubt, the Holy Spirit (the Wind who blows where he wills) is at actively at work--calling the church to a new vision of ministry that returns to its ancient theological roots while also positioning itself for an approach to ministry that will be much more well-suited to the emerging post-modern, post-Christendom cultural milieu. What will that new approach to ministry look like? Of course, one can only guess in looking forward. But anticipating a more relational cultural context, we can appreciate the need to return to the early church's concept of ministry as empathetic life-on-life sharing--real, authentic relationship that is focused on Jesus as its center, and loves people, along with Jesus, unconditionally--with no other end than that love in mind. [It] will be my task for the rest of this book, to offer a conception of ministry and the pastor that fits with the arriving new world, and yet rests on a richly theological vision... [I] will make a case for a consciousness of personhood, built on the second person of the Trinity. I will argue that to be a person is to be in relationship, not for the sake of influence but for the sake of place sharing for the sake of being with and being for [the other] (p44). As Root notes, one might call this place sharing ministry "incarnational" or "empathetic." But whatever we call it, it's vital to "reconceptualize ministry as participation in the life of Christ through the personhood of the other through relationship...opened to us through the ministry of the Spirit" (p44). We'll pick up this thread next time when we'll look more at ministry as place sharing. Thanks for your comment David. I'm glad you are enjoying the series and are finding it relevant to your ministry with Christ. Thank you for taking the time to illustrate the text. I've been a fan of Root's since Greg's and your class. This may be off-topic, but recently I've been wondering about the relationship of receiving the Holy Spirit at the time of trust and faith in JC. Root's thesis extends this question...as we develop relationships with non-believers for the sole purpose of relationship...and at some point they develop a trust and faith in JC (not that that was the intended outcome), what is the reality of receiving the HS? As believers and non-believers are included and seated at the right hand of the Father in JC, how is the receiving of the HS characterized in the new believer. What does that change mean and look like? I recall Dr. Stav indicating that the HS was always there but as believers we became yielded. Good question Craig. The answer gets to the distinction between a believer and a non-believer as well as the related issue of the objective and subjective aspects of our union with Christ. Having united himself to all humanity through the Incarnation, Jesus shares his life and love (and his Spirit) with all humanity. The Spirit then works with people to enlighten them to his reality, leading them to personal repentance and faith, by which they are personally (subjectively) receiving Jesus, which means receiving into their lives the Spirit of Christ. Peter speaks to this in Acts 2:38, as he addresses people who the Spirit has enlightened to the truth of Jesus, calling on them to "repent and be baptized." He promises that in so doing, they will "receive the gift of the Holy Spirit." We don't take this promise as a statement that the Spirit will come into their lives for the first time (after all He clearly had been working in their hearts and minds before Peter gave this invitation), but that through their personal repentance and faith (trust) they would be "grabbing hold" of the Spirit who was with them--they would, in that sense, be "receiving" him and that would create an opening in their hearts and minds for the Spirit to do his deeper, converting/transforming work in their lives. Certainly, Root anticipates that as we form redemptive relationships (friendships) with non-believers, that the Spirit is right there in the midst of such relationship, and there he is at work--not apart from the relationship, as though it were some sort of "step" in the direction of something else, but because relationship is the "place" where Jesus, through the Spirit is found/experienced leading to life transformation as followers of Jesus. In this 20 minute video Dr. Mike effectively states that relationships are the beginning and end game in all we come into contact with. Interestingly, he indicates as does Dr. Root that only after we have shown who Jesus is out of the loving relationship we have developed with others, and after they have asked, are we to provide an answer of the gospel message, that Jesus is the Truth. Wow, truly a mind-shifting reversal on the common view among Christians on how to share the gospel. I intend to purchase the book! Thanks for sharing this continuing review of Root's book. Encouraging and liberating! I was reminded of a section of Eugene Peterson's book "The Pastor" where Peterson, as a new pastor, was confronted with a situation where a young boy in his congregation was molested by a janitor. The parents came to Peterson and he panicked, not knowing what to do or say. He called a psychiatrist friend who had them bring the boy to see him, and who arranged for his ongoing care. Afterwards, Peterson, along with a group of other pastors in his community, started attending a 2 hour get together with a psychiatrist to learn about how to deal with people's problems and issues every Tuesday for a year. Afterwords, feeling somewhat trained, he started helping people in his congregation, helping them overcome their problems. He started feeling pretty good about it. However, at some point, he realized that he was looking at his congregation as people with problems that needed to be fixed, not the people of God he was called to pastor. He realized that he should partner with those gifted and trained in the social sciences, but that his task was to be with his people in presence, prayer , worship and the word, pointing them to God. He felt that he had been lapsing into objectifying them as an observer and clinician, rather than being in relationship with them as a pastor. Thanks Jerome for adding Peterson's helpful thoughts. 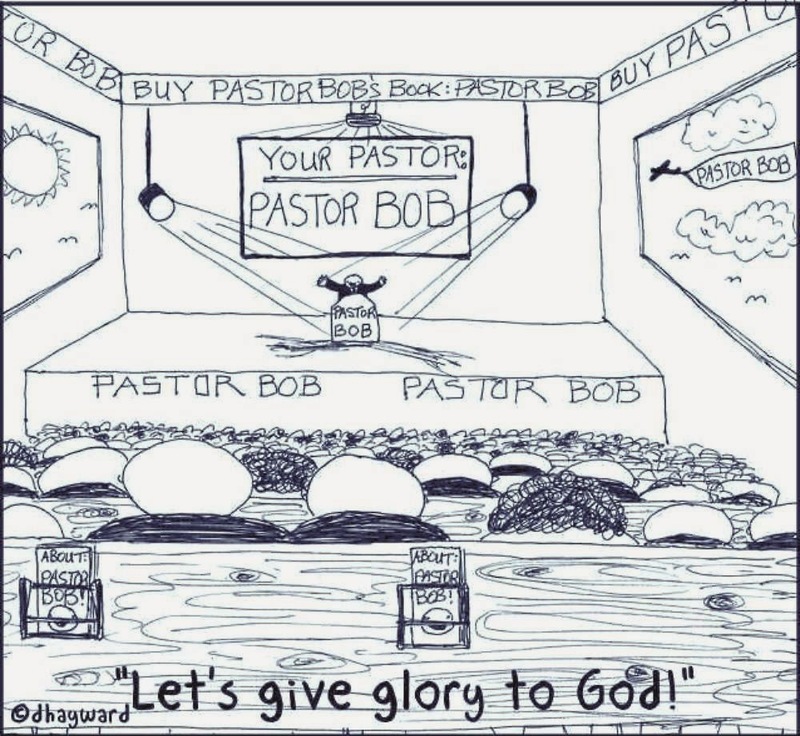 His book, "The Pastor" is a great one.